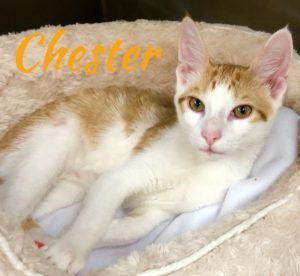 Chester was one of 4 kittens found in a backyard. He’s a handsome orange and white tabby, born on 9/25/18. This darling boy is waiting for you. Come meet him and he’ll be your new best friend!